Keep Up with Reading! ~ No Limits on Learning! I have always loved reading, and I constantly add new books to my shelves (and Kindle app); however, I am still working on ways to take notes while reading to keep up with favorite passages, quotes, and ideas. 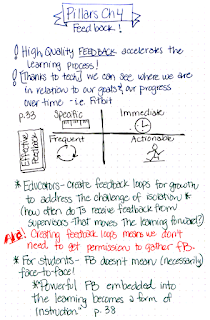 tried #sketchnoting the book using a Rocket book. 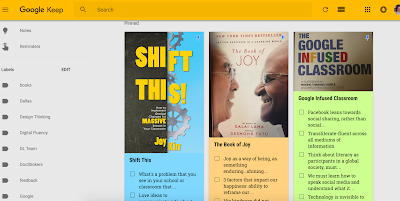 For my next attempt at keeping up with my reading, I'm trying Google Keep for my book notes, and so far, I love my new system! Keep is a digital post-it note app within G Suite. Because it's part of the Google family, it includes a powerful search feature and the ability to add collaborators to the notes. Furthermore, notes sync between devices. As I start a new book, I take a picture of the cover to add to my Keep header. Next, I add a few labels (including "books") based on the subject. As I read, I take notes on any available device, so that's one huge plus. 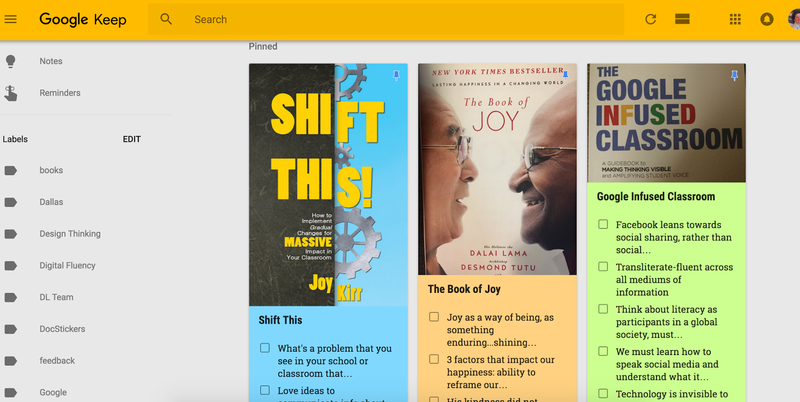 I also pin current books to the top of my Google Keep, and that's a visible reminder to keep reading. Because my "pack" of notes continues to grow, I am thankful for the search feature, and I have become much better about fine-tuning the names of my labels. I have not (YET) created a color-coding system for my books, but that could be the next possibility. I can add reminders and alerts, and from a mobile device, I can even start a new note by recording a message. The other part of this workflow that is a bonus for me is that I can now easily access my Keep notes within a Google Doc. Most of these books are for work, of course, so as I'm planning a session, I can open a relevant book in Keep, and add those quotes and notations directly into my Google Doc! I am getting so much better at adding page numbers to my notes, so it's incredibly easy to copy, paste, and create the book citations as I plan for upcoming PD sessions. By the way, The New Pillars of Modern Teaching has been my favorite edu-read from the past year, and I think I documented my reading in every other way mentioned above! 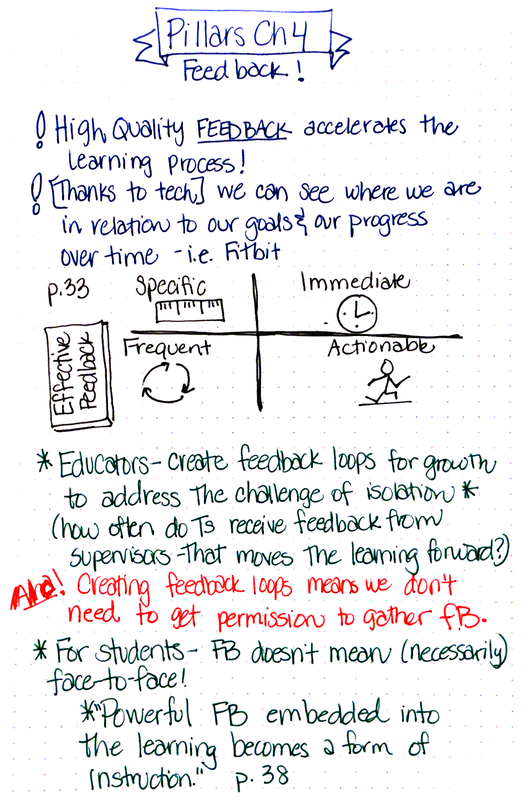 I may need to go back and take notes in Google Keep! Do you have a tried-and-true way of taking notes about books? I'm so happy when I'm reading, and I'm always up for learning!